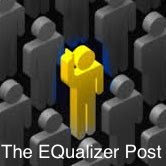 The EQualizer Post: The Philippines: So Blessed with Resources, So Cursed With Bad Leaders! 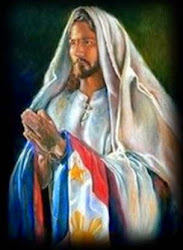 The Philippines: So Blessed with Resources, So Cursed With Bad Leaders! They SCREWED UP our beloved Land, The Philippines. MANILA — No Philippine leader since Ferdinand Marcos has held the democratic fate of his nation in his hands so decisively, yet so perilously, as President Rodrigo Duterte. 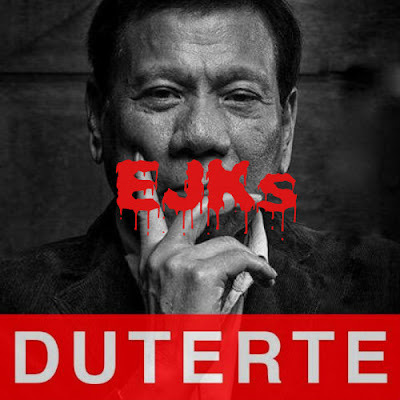 Authoritarianism may not be Mr. Duterte’s political goal, but it defines his manner and his temperament. And with no institution or political force strong enough to counter him, authoritarianism is where the Philippines seems to be heading. 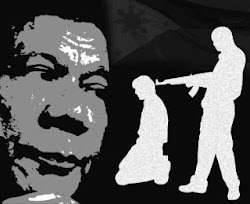 Last weekend, Mr. Duterte warned that if lawlessness escalated in the country, he might suspend the writ of habeas corpus to allow for arrests without warrants. Mr. Duterte operates on a hair trigger, and runs his presidency on impulse. Until recently, this tendency was scarcely known beyond his home town, Davao City, which as mayor he ruled like an autocrat for more than two decades. Even as these traits began to be revealed during the presidential campaign in the spring, they hardly mattered to the 39 percent plurality of voters who elected him. 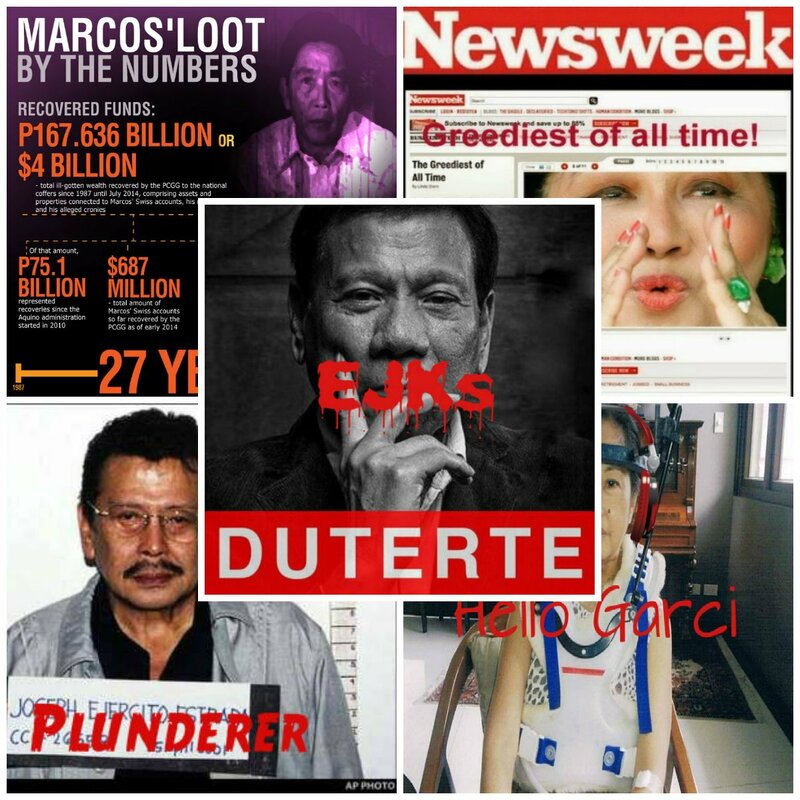 If anything, Filipinos seemed to be looking for a strongman to solve their problems, be it crime or poverty. So far they have gotten just what they asked for, and Mr. Duterte’s popularity is running high. In a poll by Social Weather Stations last month, 76 percent of respondents said they were satisfied with his performance. Upon assuming the presidency, Mr. Duterte began a ruthless campaign against drugs, dealers and users nationwide, conducting it much like his administration in Davao City had fought crime — doling out justice by summary execution. To the stern reminders about the rule of law he has received from Washington, other Western governments and human rights groups, Mr. Duterte has replied with his usual belligerence and profanity. He does not want to be told. Fewer and fewer people will tell him anyway. Mr. Duterte has surrounded himself with a sycophantic cabinet, and his administration is trying to co-opt or intimidate the democratic institutions or traditional political forces that might act as counterweights. Now a self-professed socialist, he has struck a cease-fire deal with communist rebels. Members of the mainstream left, which previously took to the streets to denounce the ruling powers, were invited to the presidential palace on the day of his inauguration. The Catholic Church, the rallying force behind the popular revolt that deposed President Ferdinand Marcos in 1986, has lost much of its ascendancy. Its main council, the Catholic Bishops’ Conference of the Philippines, has not formally denounced the extrajudicial killings being carried out in the name of Mr. Duterte’s antidrug campaign. Meanwhile, Mr. Duterte has called the church a “hypocritical institution” and accused “many churchmen” of corruption and sexual misconduct. The army has come under his intense, unsubtle courtship: He has been going around camps throughout the country, promising to double soldiers’ salaries by the end of the year. The business community has been largely acquiescent — unsurprisingly, perhaps, given its natural interest in profit over politics. The media, thrown off by a subject the likes of whom they have never seen, are still trying to get their bearings — except for those journalists who seem only too willing to play along: The Philippine Daily Inquirer has given a regular column to the president’s public-relations man. Who will stop him? What will he stop at? 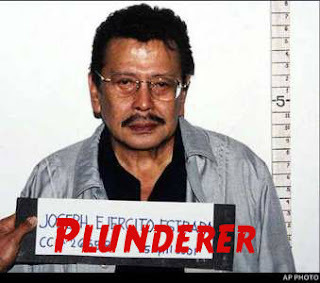 Stole up to $10 billion from the Philippines. Was Marcos a well-decorated soldier? John Sharkey of the Washington Post who did an extensive research on the matter did not think so. 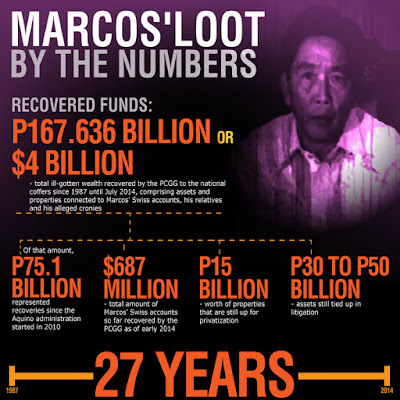 Jeff Gerth and Joel Brinkley of the New York Times after perusing the War files in the National Archives found out that Marcos’ claims were “fraudulent” and “absurd”. Historian and scholar Dr. Alfred McCoy, while researching a book World War II in the Philippines, discovered the fraudulent Marcos files among hundreds of thousands of documents involving real heroes and fraudulent claimants during World War II. Army Captain Ray C. Hunt who directed guerilla activities in Pangasinan said, “No way.” The “List of Recipients of Awards and Decorations issued from December 7, 1941 through June 30, 1945” was compiled by the General Douglas MacArthur’s headquarters in Tokyo after the end of the war. Another list of some 120 Americans and Filipinos who were awarded during the Bataan campaign was transmitted to the War Department by General Jonathan Wainwright on April 12 shortly before his surrender. MARCOS WAS NOT on any of the lists. 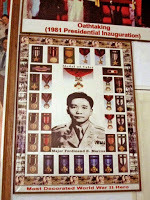 Many of Marcos’ medals were obtained for heroic actions in Kiangan, Mt. Province while serving in the 14th Infantry under the Command of Colonel Manriquez and Adjutant Captain Rivera. Both attested to fact that Marcos was a non-combatant and just a Civil Affairs officer. 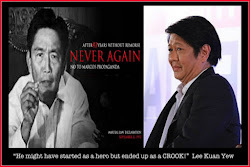 They knew of no award that Marcos could have received or had been entitled to. For 40 years Philippine War records were not available to the public. It was only in the 1980s that many of the documents were eventually accessible to legitimate researchers and scholars. Led by Colonel Bonifacio Gillego assisted by a team from the Movement for a Free Philippines, a study was made on “Marcos: FAKE HERO”. The study was written by Col. Gillego and was published by the Philippine News and the We Forum which Marcos shut down and its Editor and staff writers indicted for “sedition” punishable by death. It is a testament to her residual power that Imelda Marcos was able to get a court order to prevent a damning film about her to be shown in the Philippines. What other widow of a reviled dictator could get her way in the country that she pillaged? Consider the facts. She was found guilty of corruption and sentenced to a minimum of 12 years in prison in 1993. 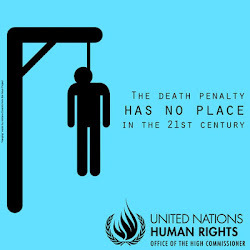 The Philippine Supreme Court overturned the conviction. 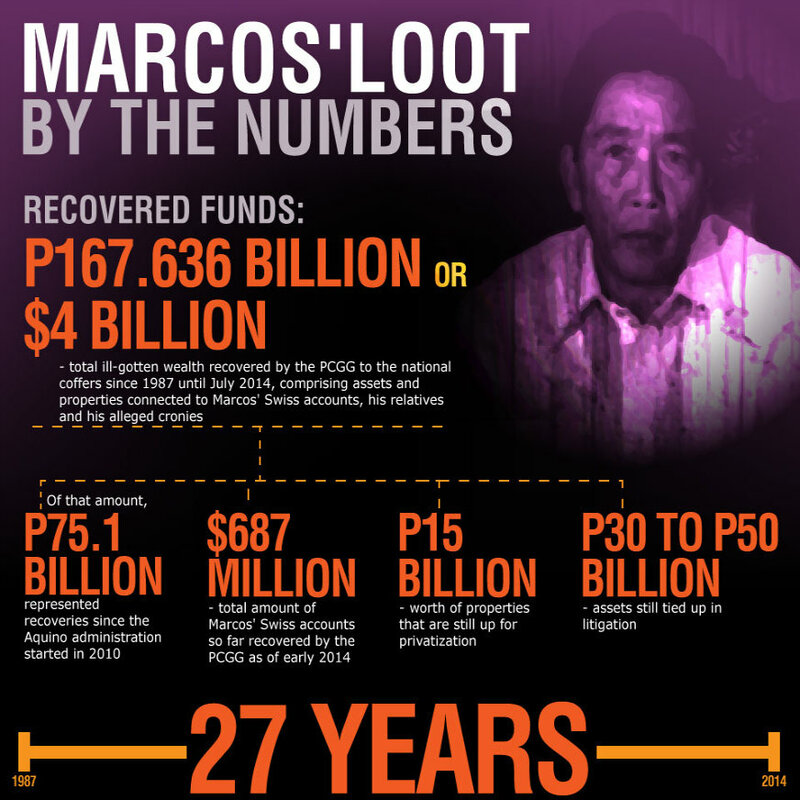 The Marcos estate lost a class action lawsuit for human rights violations. A US Federal District Court awarded the plaintiffs $2 billion. The money has yet to be paid. 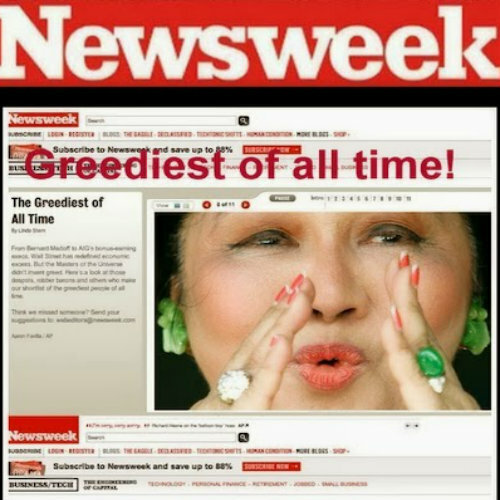 In 2003, the Philippine Supreme Court upheld a lower court ruling that found Imelda Marcos guilty of funneling $659 million to private Swiss bank accounts and awarded the entire amount to the Philippine government. Over 150 other court cases are currently pending. And in an ironic perversion of justice, Imelda Marcos receives a monthly pension of $90 from the Philippine government as a widow of a war veteran. Imelda insists she did not give her permission for a film about her rise from beauty queen to Philippine First Lady. She said she co-operated with the film because she thought it was for a thesis. Reportedly director Ramona Diaz was given 15 minutes. This stretched to five hours of the former First Lady speaking non-stop and playing video after video of media coverage of the Marcoses. "Imelda" was given good reviews abroad and won best cinematography at the Sundance Film Festival in the US. Eventually Mrs Marcos allowed the showing of the film on condition that the director dropped the word “documentary” from the title. "Imelda" went on to become a smash Filipino hit, beating "Spider-Man 2" in theatres. In the movie we are shown a mythology that Imelda has carefully cultivated. 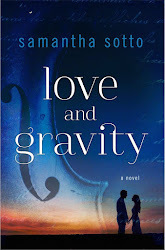 In the opening sequence she presents her world view in an engaging way. 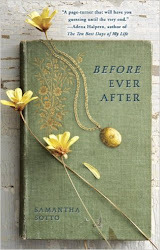 Still coquettish in her mid-70s, she leafs through a book she has written called "Circles of Life". The method in her madness breaks down later in the film when she illustrates with a marker pen her philosophy complete with apples, hearts and a Pac-Man. 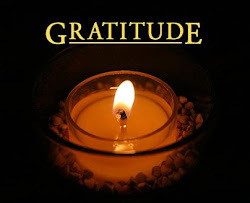 A Jesuit priest recounts how she presented the same to him non-stop for four hours. Bernice Ocampo, her niece, laments that Imelda’s downfall was brought about by flatterers, not true friends. Imelda’s hubris knows no bounds. In her hometown of Tacloban, she has made a shrine to herself and Jesus Christ. The chapel on the first floor is lined with dioramas of her rise from being a little girl playing in the sand to becoming a heroine of her people helping the downtrodden. Upstairs visitors are shown her ornate bedroom which has walls completely covered in woven leather strips. 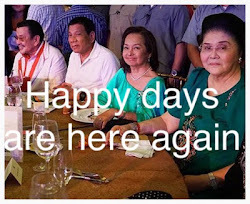 We get Imelda’s spin on her own vanity when she boasts that as First Lady she took an hour to dress for kings and queens but she would take “double the time” if she was going to the provinces because the people needed “a standard, a star…especially in the dark of the night”. In 1954, Imelda, met then-congressman Ferdinand Marcos in the cafeteria of the Philippine Congress and married him 11 days later. Ferdinand ran for president in 1964 and won by presenting himself and his wife as the John F Kennedys of Asia — young, fresh talent that was going to help the country advance. With the support of the US government, the Marcos’ hunger for power increased and in 1972, Ferdinand declared martial law. This was, according to Imelda, for the good of the people. 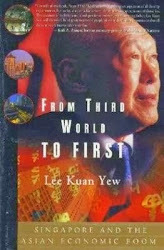 In the movie she describes the imposition of martial law in these words: “[The President] informed the family…. He called the little children together and he said the time has come [and] that what he had to offer for the survival of the country was more than life, it was honour…. because he was so democratically committed.” This is when most movie audiences laugh out loud. This brings us to Gloria. It's still too early to tell, but if the current signs mean anything, she has got a lot to answer for. How could so many scandals of an elected (?) president and her cadre remain unexplained, unchallenged, and unpunished? When? Probably never. We're not talking mistakes, here. We're not talking poor judgment or failed policies. We're not talking politics as usual, with its underhanded array of pork and perks. But we are talking about very serious violations of the public trust, and very possibly the law, perpetrated by the elected (?) leader of this nation and her handlers. 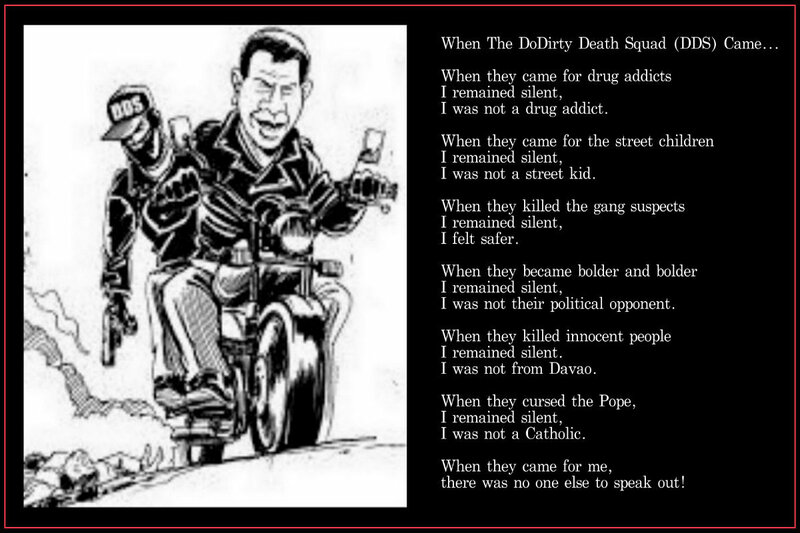 Even more amazingly, we are talking about the shameful reality that not a single one of these offenses has been investigated by a truly independent, non-political, neutral commission, armed with subpoena powers and adequate funding, and answerable ONLY to the people of Philippines. Not a single one. What ever happened to the investigation of? * The National Power Corp. (Napocor) -CPK-Kalayaan rehabilitation project. * The race horse importation fiasco. * The overpriced Diosdado Macapagal Boulevard exposé. * Misuse of the fertilizer funds. * The Philippine Amusement and Gaming Corp. scandals. 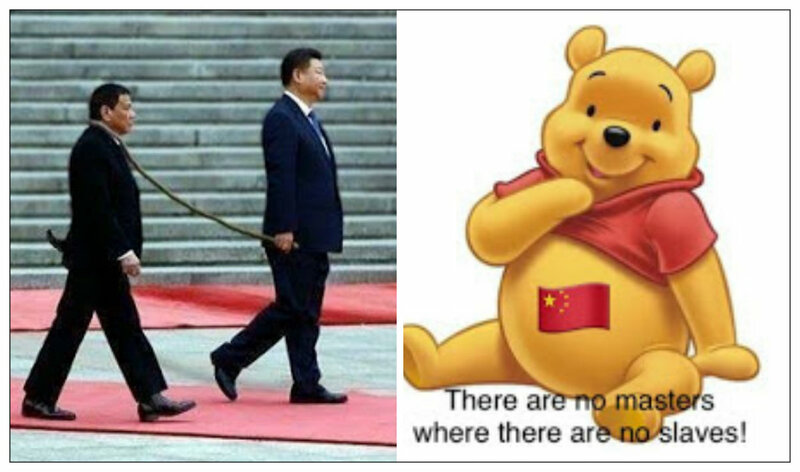 * The ZTE-NBN scandal ("Buck off!"). * The Bribery of Governors and Congressmen in Malacanang. 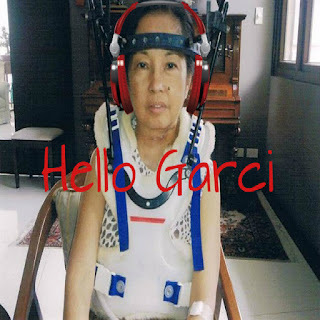 * The MOTHER of ALL SCANDALS: THE HELLO GARCI Mega Scandal that influenced the last Presidential elections. * The Extra-Judicial Killings of Activists as reported by the United Nations special raporteur on human rights.